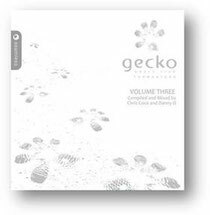 ‘Gecko Beach Club Formentera: Volume Three’ is the third release in the Gecko Beach Club series, comprising of two discs of music, mixed and compiled by Ibiza veteran Chris Coco, and Bora Bora resident, Danny O. Set to land on Seamless Recordings on 23 June, the album captures the vibe and ambience of the stylish Gecko Beach Club, positioning itself as a first class retreat from the hedonism of Ibiza, and a highly purveyor of quality downtempo house music compilations. Situated on Migjorn Beach on the island of Formentera, Gecko Beach Club is an exclusive getaway, set amongst tropical gardens and sand dunes with only a stretch of clear blue Mediterranean water separating it from Ibiza. With an A-List clientele, including the likes of Kate Moss, Gecko is possibly one of Europe’s most popular beach clubs and chill out destinations. The new compilation encapsulates the club’s intimate, laid back atmosphere that sets the tone by day and by night. Known for his laid back production and eclectic beach sets, former Radio 1 DJ and founder of Melodica Recordings, Chris Coco, takes control of Disc One, setting the scene for a relaxing day on one of Gecko’s beaches. Starting off with Carlos Cervilla’s aptly named ‘Essence Of Formentera’, the mix goes on a journey of downbeat gems, featuring Coyote’s ‘Swimming’, and ‘Foggy’ from French artists 9 In Common, before rounding off with fellow Ibiza resident, Steen Thottrup’s ‘Missing You (A Tribute To Sunset)’. Disc Two sees Danny O stepping up to deliver a blend of soulful, deep and techy house with 18 tracks in his mix. The Proof Recordings owner who is known for his residency at Ibiza’s legendary Bora Bora, and regular appearances at Cafe Mambo, maxes out nearly 80 minutes of his own productions together with tracks from Miguel Migs, Belladona, Pete Da Feet, whilst finishing with Kiko Navarro’s ‘Sonando Contigo’.